Discover a full file about all the con’s Rose McIver attended. Discover all the good deeds of Rose. 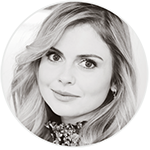 Discover Rose McIver’s partnership with Emirates Airline. Find everything about ‘McIversDoLa’ Family Trip. Find everything about Rose McIver doing the ‘Whole 30’ Challenge. Discover the first exclusive but unnofficial iZombie’s Cookbook for Season 1. Discover the first exclusive but unnofficial iZombie’s Cookbook for Season 2. Discover all of iZombie’s Funko Pop! and where to buy them. Find more about this wonderful charity project RMS have been a part of.